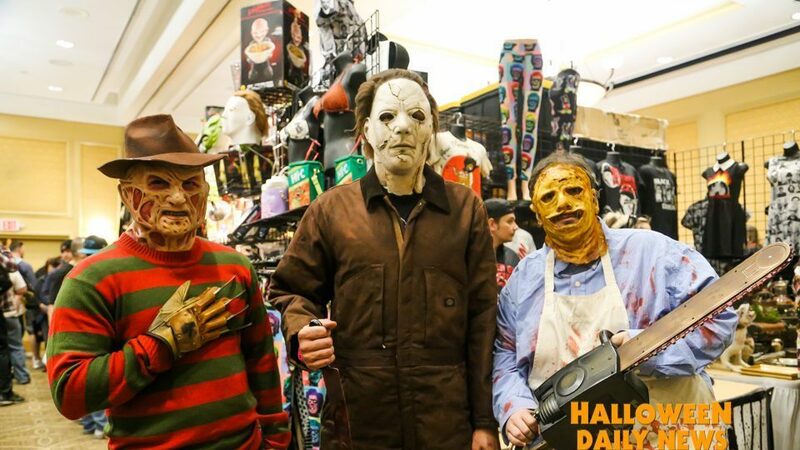 The largest event of its kind in the Carolinas, the Mad Monster Party horror convention made a triumphant return to Charlotte, North Carolina this past weekend, Feb. 16-18, 2018, featuring an amazing lineup of celebrity guests, tons of talented vendors, and thousands of enthusiastic fans in attendance, and Halloween Daily News was there to bring you all the best highlights from all three days. Some of the genre icons on hand at Mad Monster Party 2018 included Nick Castle, Robert Englund, Lance Henrikson, Michael Biehn, Tom Savini, R.A. Mihailoff, Alex Vincent, Christine Elise, Ken Kerzinger, and Jen and Sylvia Soska, among many others. Halloween Daily News is once again proud to have been a part of this event, as we will be bringing you extensive coverage, including photo galleries of all the vendors and amazing cosplay, highlight videos, and interviews throughout this week. We begin with photos, from all three days in the gallery below. You can view our photo gallery of highlights from Mad Monster Party 2018 below, and then be sure to check out all of our coverage of this great event – including the Costume Contest (view gallery here) and Miss Scarolina Pageant (view gallery here); Nick Castle Q&A report, Robert Englund Q&A report, and Death House Q&A report; and interviews with Nick Castle; Get Dead Crew; Dark Seed Creations; and the Costume Contest Winner!